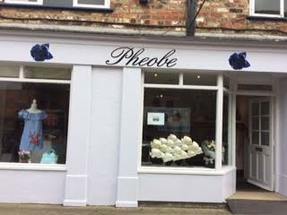 Pheobe is a boutique type shop newly opened in Pickering selling ladies clothing for special occasions. .
Includes AX Paris dresses great quality and prices styles for that special occasion . Moda handbags great styles and high fashion, and a range of scarves and jewellery. If your looking for that special dress please call in, it will be great to see you.